Ask a seemingly simple question - get a series of ill-informed answers. The Internet is awash with experts no matter the topic. “Whisky is always at its best at 18-20 years of age, except Ardbeg – I love Ardbeg 10 year old.” Says the chap who manages to contradict himself within 10 words. “I never drink Scotch less than 12 years of age” drones the young lad who’s clearly but a few years older than suggested ideal tipple. Or, my personal favourite – “Best age to drink whisky at? I never really liked it in my late teens and twenties, so I’d say around 35”. The question of age is woven tightly into the very fabric of whisky – there’s a psychology behind the appeal of bigger numbers – and for years the market has been continually educated that older equals better. But in reality, age is not only a diverse and idiosyncratic topic, it’s also highly personal. Romanticism and reality are rarely comfortable bedfellows. Leveraging dreamy images of heather-blanketed hills, effervescing streams and sea-lashed coasts has been a pillar of whisky promotion for decades - implicitly or even explicitly suggesting that flavour is somehow magically influenced by location. But, start to question whether the physical elements of a place and distilling’s raw ingredients can truly influence taste, and it’s abundantly clear that producers are still by and large happier with the allegory. Paul Martin is at his best when he’s in front of an audience. Whether it’s tutoring a new generation of bartenders or providing motivational talks to the hospitality industry, his passion for the drinks industry is apparent. As a PR for my entire working life, I know only too well the pressures of effective public speaking – for Martin, it’s an arena that he thrives in. Working across the bar trade for over 30 years, Martin has developed an extensive portfolio – from training courses, half a dozen cocktail books (including the recently launched 101 Award Winning Cocktails from the World’s Best Bartenders) and even a qualification in British Sign Language. He’s also no strange to whisky having launched Dream Whiskies in early 2017. Steve Beam has a look of joyful bewilderment across this his face. He’s exhibiting for the first time at the London Whisky Show – and interest in Limestone Branch Distillery is exceptionally high. The stand is a bustle of visitors – some seasoned whiskey drinkers, others intrepid explorers – but all of them seem delighted to be able to ‘meet the maker’ whilst sampling his products. 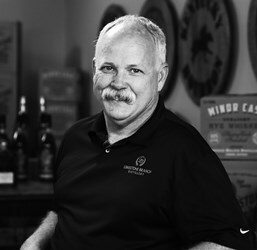 Conversing with one visitor to the next, it’s a testament to Beams’ passion for American whiskey that after three-long days, his enthusiasm and warmth for each new person remains undiminished. Limestone Branch Distillery is riding the wave of growing interest in bourbon and rye whiskies and now firmly targeting the UK market. 2016 was dubbed ‘the year of gin’ – a 16% rise in UK sales (to over £1bn) outstripped the growth across both beer and wine. But, now, there’s chatter that 2018 might well turn out to the ‘the year of rum’. Sales are expected to top £1bn for the first time in history, following the overall success story of the alcoholic drinks industry over the recent years. However, unlike gin which can be produced relatively quickly and inexpensively, rum is both time-consuming to produce and likewise costly (yields tend to be low). But, there’s still the promise for producers and distributers of riding the wave of growth – and one new brand is poised to grab their surfboard and do just that – That Boutique-y Rum Company.